If you’re thinking about adding a little furry face to your family, it’s easy to get drawn in by the tiny paws, fluffy tails and squeaking meows. 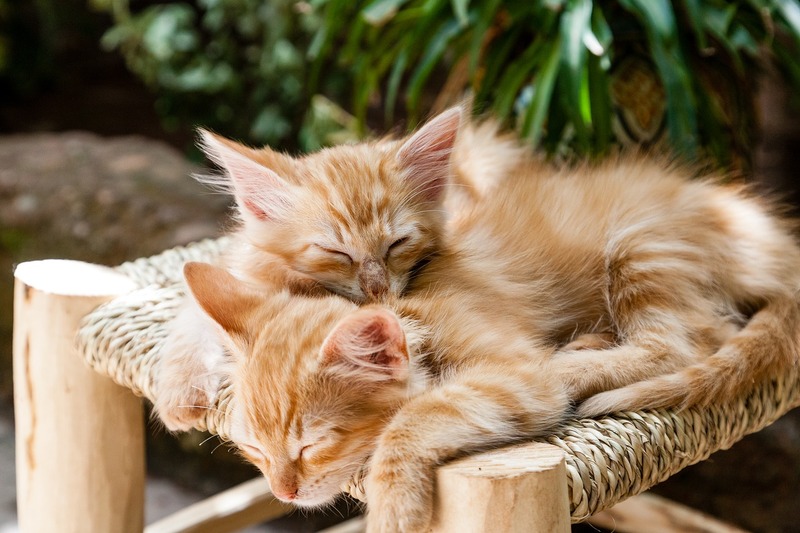 Before you let your heart take over, there are a few things you need to be asking your cat breeder, so you know you’re taking home a happy, healthy kitty. When getting a kitten, it’s important you know where your feline friend has come from, what they need in terms of care, and what kind of personality they have. 1. Can I hold them? Asking to hold the kitten is a great way to tell how they are around people. A well socialised cat should be friendly rather than scared or anxious. They might be wary of you initially, but should warm up to you if you have time to play with them a little. 2. Can I see the parents? You should always try see the kitten with their parents and the rest of the litter. The parents can give you a good indication of the size and temperament of your full-grown cat. 3. Are the parents in good health? A healthy cat means a healthy kitten, so check that your breeder has a full history of health checks for the parents. A good breeder should ideally also have a history of illnesses in the blood line so you know your kitten is at a lower risk of becoming ill.
4. What’s the personality like? Even at this early stage, a kitten should be displaying their own unique personality. Whether they’re curious, boisterous or a little bit shy, you need to find a cat with a personality that matches what you want. Your breeder should be able to tell you a little bit more about your favourite. 5. Are they socialised? A cat who has been socialised with other felines and even humans and other animals is friendly and curious, which is essential if you have pets or small children in your home. 6. How old are the parents? A responsible breeder should wait until the cats are fully grown to breed them. For a female, that’s between 18-24 months and for a male, that’s around 18 months. 7. What’s the breed like? As a breeder, they should know everything about the breed and be happy to talk you through the temperament, needs and requirements of your feline, both as a kitten and a full-grown cat. Do some research beforehand on your own so you know what to listen for. 8. How old is the kitten? When getting a kitten, the best time to take it home is when it’s around 12-13 weeks. In the final month with their mother, they learn valuable skills from her, such as eating alone and using the litter tray. 9. What food are they eating? Before you take you kitten home, you should find out what food they eat, so they can settle into your home with minimal disruptions. A sudden change of diet could affect their stomach and make them sick. 10. What boosters and vaccinations are needed? By this point your breeder should have given your kitten a number of vaccinations, however they may still need boosters to ensure they’re fully protected. A kitten should have vaccines for rabies, upper respiratory infections and distemper before they are eight weeks old. They might need other vaccinations depending on how much they’ve been socialised with other cats and their living situation – so ask a vet before you go. 11. Do you have any advice? A responsible breeder and fellow cat lover will want to share as much knowledge as possible about how to look after their litter. Many provide written information packs to help you get to grips with what to expect and how to look after your new kitten. For more information on matching your feline friend to your lifestyle and finding the healthiest cat in the litter read our guide on buying a kitten. When you take your fluffy feline home, make sure they’re protected against any unexpected illnesses or accidents with cat insurance.